The other day, my good friend Ben had the fortune of finding two very valuable Casio watches at Greenwich market for quite a low price. One of the watches, from around the early/mid eighties, had a function where it would play a well-known tune, as you can see demonstrated here. One of the tunes it plays in the video is Simon and Garfunkel’s classic “Sound of Silence” – a bloody good song, but as I listened to it being played on the watch, the absence of Mr. Simon singing the harmony with Mr. Garfunkel left the tune feeling a bit bare. It is of course, only a watch, but wouldn’t it be nice if you could have a Simon watch and a Garfunkel watch which could play together in perfect harmony? I thought about alarms, ringtones, even adverts – and how they become so strongly embedded in our consciousnesses, as we hear them everyday, sometimes multiple times. We soon come to learn such jingles without even realising it. I wondered if I could use such tools to teach people how to perform some kind of action together without having to practice – and as the vocal harmonies had inspired the idea in the first place, I thought I would stick with that. Now Simon and Garfunkel are great, but there’s only two of them – I want to do it with more people. 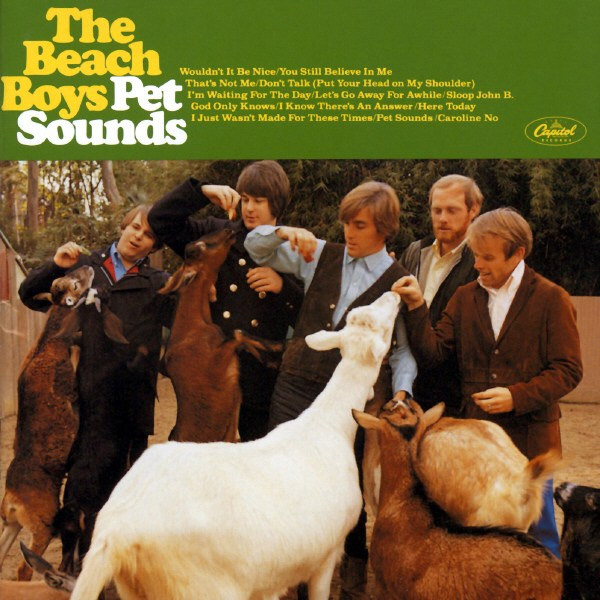 So I went for a song off one of my favourite ever records – “You Still Believe In Me” from the Beach Boys’ Pet Sounds. Its got a really beautiful harmonised bit at the end that I thought would be perfect. If you don’t know the song, it can be found here, but really, just buy the record. Its incredible. So I have spent a while over the last few days trying to harness my very limited knowledge of reading music to separate the various harmonies out into individual vocal lines on garageband. I’m pretty sure what I’ve ended up with is not entirely accurate, but for the purposes of this experiment, it will have to do. I’m certainly no Brian Wilson. Below you can hear the four layers come in one by one. My plan is simply to give the four parts to four different people and get them to use each one as their ringtone for a month. After that time has passed, I will see if they can sing together without ever having done so before. I really hope it works. This entry was posted in Research and tagged casio, Collaboration, harmony, ringtones, watch. Bookmark the permalink.